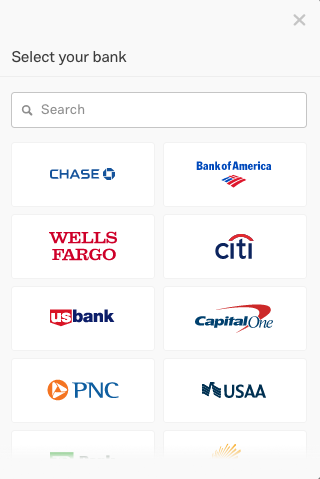 Follow the steps listed to select your bank account and sign in. 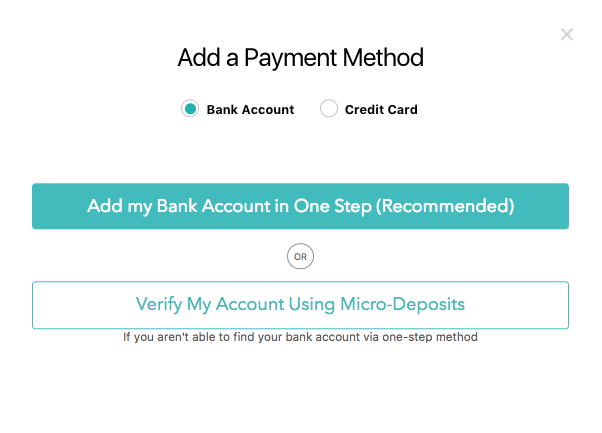 b: If your bank is not listed in the options in the pop-up menu, navigate back to the main “add payment method” window and click “Verify My Account using Micro-Deposits”. 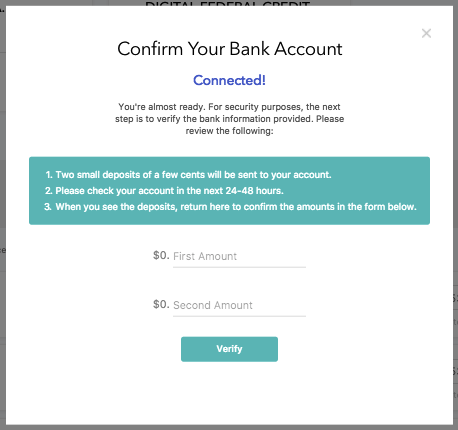 Add your account information then follow the instructions in Step 5.
c: If your school is accepting credit cards, you will also see the credit card option listed. 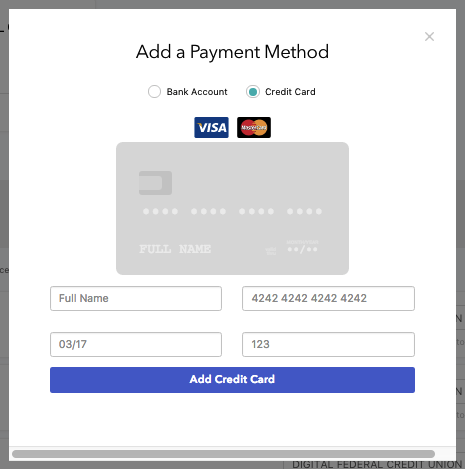 If you want to add your card, toggle to the credit card view. 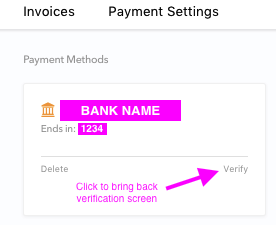 Once the account is connected, we need to verify your account. This can take 2 business days. (Just remember if you did this after 5pm, the business day starts the next day) Keep an eye on your account! 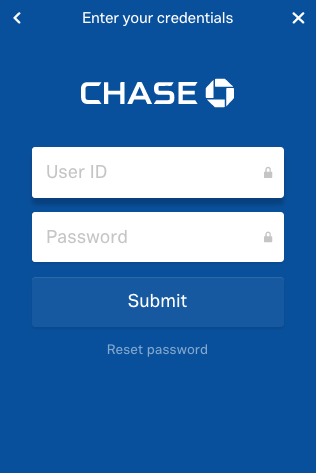 Once you see the two small amounts deposited in your bank account, add the numbers on this screen. 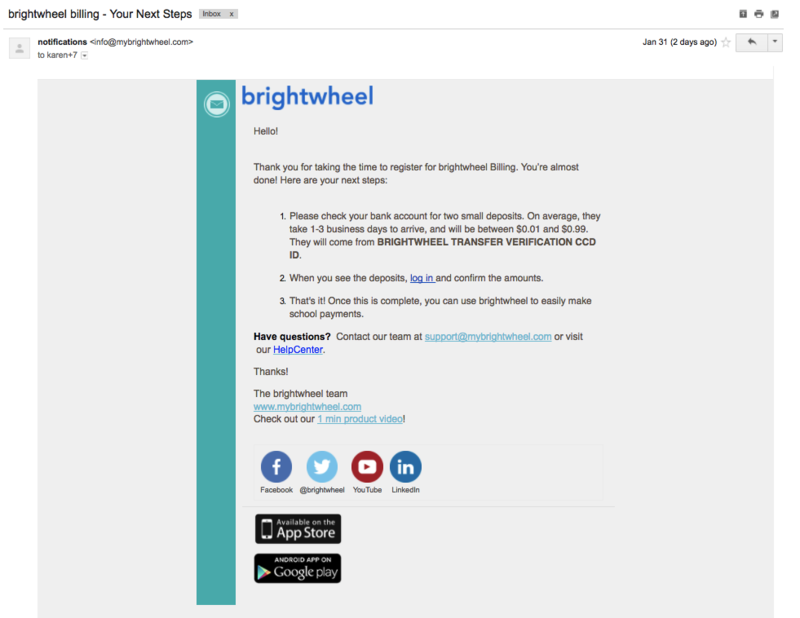 (This screen will wait for you and will be here when you sign back in). Ready to pay your Invoices? See this article for instructions! 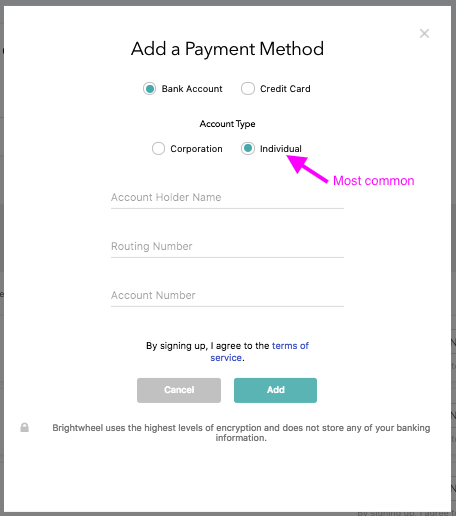 If you'd like to set up auto pay, that information can be found here!